The alliance between Jet Airways and Kingfisher Airlines makes undoubted business sense for the two largest private sector airlines in the country. But will it also be a good deal for consumers? There are strong concerns about potential abuse of dominant power—together, the two players would cover almost 60% of the domestic market. In an immature market that’s not yet contestable—given its tough entry barriers—there’s little to deter them from resorting to anti-competitive practices even without any equity stake transaction. The Competition Commission of India (CCI), unfortunately, is neither yet functional, nor has the teeth. Significantly, it was just in June that a CCI study raised an alert about the “high level of concentration" in the post-merger industry. 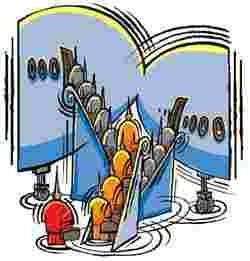 It said the new entities would corner the bulk of the airport slots and deter new entrants. It clearly stated that as aviation services are a largely homogeneous product, with little differentiation in their basic utility, there would be scope for “coordination" that could harm competition. This alliance perpetuates the same threat. Indeed, the indicator of concentration here—the Herfindahl-Hirschman index—is already estimated to be a multiple of the globally accepted benchmark. This cuts not just at the aggregate market level but also in peak hour, peak-route—Delhi-Mumbai—markets. What Jet-Kingfisher would now do, among other things, is work out route and network rationalization—which is good, given the huge skew in servicing of segments. But there is a real threat they could cooperate on prices, routes and time slots in a way that could limit competition and consumer choice. Globally, such alliances have happened. But those are mature markets— as in the US and the UK. Monitoring is stringent. For instance, British Airways was heavily penalized last year by the US and UK competition authorities for colluding with Virgin Atlantic on transatlantic pricing. But the chances of Indian players being deterred are low if this alliance goes through. The civil aviation authority that is to clear the deal must do due diligence.